Warning Tapes serve as a lifesaver in a number of hazardous applications. DHY Trading Corporation is one of the Prominent Warning Tapes Manufacturers In Mumbai, India. If you are looking to buy these tapes in bulk quantity, you simply need to dial our number. We have manufactured these tapes by using HDPE Sheet, LDPE Sheet or PP Sheets at our in-house facility. We use supreme quality raw material and modern technology to ensure the proper manufacturing of these Detectable And Non-Detectable Warning Tapes. These Duct Accessories used for the purpose of altering someone to not go to that particular area, as there may be some danger, which could be hazardous to their life. These are used in a number of applications and we have it in different ranges for different clients. 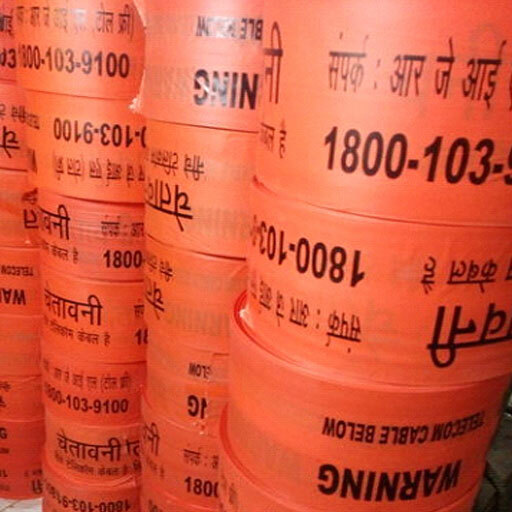 We are appreciated as the foremost Underground Warning Tape Suppliers and Exporters, so, you can buy it from us at the leading industry price. To place your order for the Safety Tape, be in touch now. Our details are available on the website.